This was the same thought Ian Jones expressed in all his discussions about the outbreak, that it was either madness, or something really big, and it couldn’t possibly have been madness. Jones, in the same way as my correspondent, was unable to imagine Ned Kelly could have just been mad and a criminal, and so, citing Tom Lloyd Jnr as his source he nominated the foundation of a Republic of North East Victoria as that ‘big’ something to explain Glenrowan. 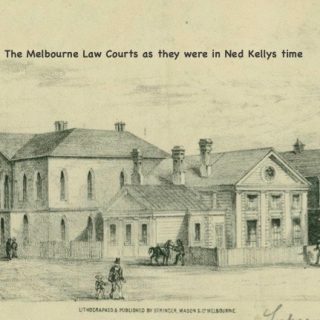 It was an ingenious solution to a very hard problem for people who wanted to be able to admire Ned Kelly; it dominated the Kelly story for the next fifty years, and rehabilitated Ned Kellys image by providing a comforting rationale for what Jones felt would otherwise have to be described as a ‘criminal monstrosity’ Kelly was planning for Glenrowan. 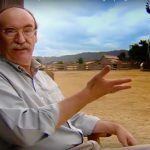 Unfortunately for Jones, Tom Lloyd Jnr was pulling his leg about the Republic – his father, the so-called fifth Kelly Gang member had never heard of such a plan, but his son made one up to keep Ian Jones happy! 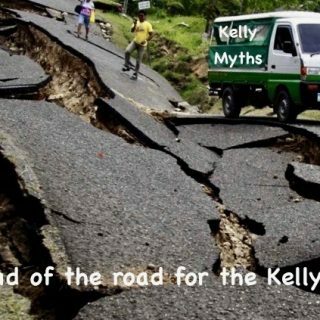 So now, in 2019 the Kelly story has arrived at a major cross-roads. Dawson’s revelations last year finally proved without any doubt at all that the Republic of NE Victoria was a 20thcentury fabrication. It was not an idea that formed any part of the Outbreak, or was ever in Ned Kellys mind. I pointed out last week that quotations in Kenneallys book ‘The Complete Inner History of the Kelly Gang” show that the Kelly family itself had never heard of it in 1929. This telling lack of a Kelly-family oral history of a republic was confirmed as recently as Valentine’s Day 2017 by Anthony Griffiths, an actual Kelly descendant. He told Leo Kennedy something about which he said Kelly descendants back then and still today are adamant: Ned was a horse thief and not a very good one. Griffiths said “He did not have a political bone in his body. He was a thief who was too busy thieving”. I mentioned those words last year in my review of Kennedys book, and only now am I realising the full implications of them. What they do is make nonsense of claims by people outside the Kelly family and in particular claims by descendants of other gang members such as Lloyds and Harts, that THEIR oral history supports a Republic. The idea that peripheral players could claim THEIR family had an oral history about what the Kelly family was up to, when the Kelly family itself had no such family history is clearly absurd. So the cross-roads that the Kelly apologists are now at, is where do they go to from here, now that the Republic idea has been removed from the story? How are they now going to account for Ned Kelly and for what he planned for Glenrowan? Somehow I can’t see them accepting Ian Jones view, that if there was no republic the only other possible explanation is that what was planned for Glenrowan was madness and a criminal monstrosity, but what choice do they hav?! What are they going to propose? At this point it would be nice to imagine the 90 or so members of the closed Kelly Sympathiser Facebook page would emerge from their dugout and apply their collective wisdom to this challenge and offer some suggestions. This is a discussion and an enquiry that was effectively halted in 1967 with the development of the Republic theory of Ian Jones, and now it must be restarted. 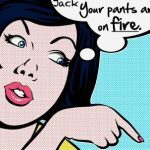 However, it seems the handful of sympathisers who used to contribute opinions here have chosen not to do so any more, and I can’t help wondering if there is some sort of coercion being applied inside that group to dissuade them from doing so on pain perhaps of expulsion. For a long time there have been open campaigns of bullying and abuse of sympathisers who posted comments here or on my Facebook pages: I suspect it is now carrying on successfully behind closed doors at the NKS. The complete silence from them all is now deafening! So, as the Little Red Hen would say, “I’ll do it myself” and what better place to start than with the words of Ned Kelly himself. If they ever noticed what has been done, it ought to seriously trouble Kelly sympathisers that they have been persuaded to believe what Ian Jones said about Ned Kellys plans for Glenrowan rather than accept what Ned Kelly himself said : Ian Jones position is effectively that Ned Kelly didn’t know what he was talking about but a century later Ian Jones did! What would you call that – arrogant? The present-day Kelly story, thanks almost entirely to Ian Jones, is that Glenrowan was all about the Republic of North East Victoria, and yet, as I have been pointing out, neither Ned Kelly or his close or distant relations then or since ever said anything about a Republic. Not once. Not ever. Remarkable as it may seem to Kelly sympathisers, Ned Kelly DID actually make statements about what he intended for Glenrowan – but it would seem they weren’t good enough for Ian Jones. What Ned Kelly talked about in relation to Glenrowan was robbing more banks, taking police hostage, exchanging prisoners and trying to get his mother out of prison. “The next thing I wish to mention is the Crown Prosecutor’s trying to point out my blood thirstiness in wearing steel armour. This is quite contrary, for without armour I could never have possibly robbed a guarded bank and disarmed Police without taking life, but with armour I had not occasion for taking life. 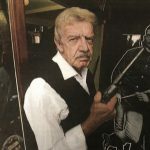 I can solemnly swear now before God and man that it never was my intention to take life, and even at Glenrowan I was determined to capture Superintendent Hare, O’Connor and the blacks, for the purpose of exchange of prisoners. While I had them as hostages I would be safe. No police would follow me. These letters of Ned Kellys from prison contain a lot of ridiculous claims and outright lies – such as that it was his idea that Curnow should go and stop the train so he could claim the reward! But Kelly was known for his outrageous lies! As for declaring that the purpose of the armour was to make it unnecessary to kill – this is the man who declared in the Jerilderie Letter that the consequence of defying him would be ‘a speedy dispatch to Kingdom Come’, and elsewhere warned that “If I hear any more of it I will not exactly show them what cold blooded murder is but wholesale and retail slaughter, something different to shooting three troopers in self-defence”. The obvious lies and transparently silly attempts made by Kelly in these letters to completely re-write recent history make it hard to be certain if anything written in them can be taken at face value. However, these are the only direct statements he ever made about what he planned to do at Glenrowan, and why. They are stupidly optimistic, vague, unrealistic and bound to fail, with no apparent exit strategy or longer term vision for what would happen once Mrs Kelly was set free. However, they quite clearly and consistently centre around the themes of hostage taking, freeing his mother and robbing banks. These plans are quite mad, obviously, but like it or not those mad plans were what Glenrowan was all about and nearly fifty years later the only surviving member of the Gang, the so-called fifth member Tom Lloyd told J.J.Kenneally the same thing . Until Ian Jones came along, those were the plans that everyone accepted as being the Kelly Gangs motivation for the Glenrowan attack. When they looked at them most people, Ian Jones included, rightly recognised them as madness, and that Kellys plan was to commit a ‘criminal monstrosity’ at Glenrowan, and so almost nobody regarded him as a hero. However, Ian Jones was one of the people, like Max Brown, who thought he could see something heroic in Ned Kelly, he couldn’t accept that Ned Kelly was actually just a crazy person, he believed most of the lies that Kelly told about himself and his family, and so Jones invented a new explanation, what he called a “New View”, to elevate the image of Kelly from crazy person to heroic visionary. With the recent exposure of the Republic idea as a fanciful myth, no rational person can continue to assert that the ‘new view’ and the ‘Republic’ is true history. Its actually fake news and the true history is that Glenrowan was about something much more mundane, stuff Ned Kelly was already familiar with, but this time on a bigger scale : murder, hostage taking, bank robbing and exchanging prisoners. A criminal monstrosity, as Ian Jones himself rightly acknowledged. 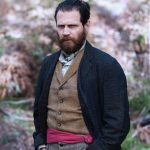 Like it or not, that is the true story of the Kelly Gang. 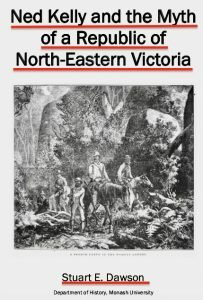 At the Kelly seminar at Chiltern in April, the amateur self-described Kelly Historian and Historical Consultant Steve Jager is giving a talk on the Republic entitled ‘Proclamation of North-east Victoria’, which is something that never happened or was even contemplated during the ‘outbreak’. What Jager ought to be doing is telling the die-hard Kelly apologists that when it comes to Glenrowan its time to go back to what their hero Ned Kelly himself said it was all about : not Ian Jones ‘republic’ or Matthew Holmes ‘revolution’, but about hoping to free his mother by robbing more banks, taking more hostages, and killing more police. But what’s the bet he will avoid the truth and instead keep his head deeply buried in the Kelly quicksand and will merely regurgitate the disproven nonsense about the republic? If he does I will be asking for my money back. Hi David, thanks for reminding me about Kelly family descendant Anthony Griffiths’ quoted in Leo Kennedy’s book, who said that Ned Kelly “did not have a political bone in his body. He was a thief who was too busy thieving”. That makes three people thoroughly familiar with the story and the inner family circle that confirm that Jones’, Molony’s, and sundry other oral history claims are total nonsense. 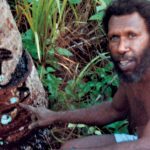 I showed that the claims stem from a widely circulated 1940s Australia-wide believe it or not story, itself clearly traceable to a spoof article in the 1900 Bulletin. there is nothing mysterious about this; lots of social history can be traced to particular causes and sources. It is not shame to scrap the old view when it has been shown to be wrong; that is called learning. You are a born blogger David – and have made mincemeat out of the preposterous Kelly Glenrowan farce. But even you missed something important. Neither the Gang or Ned knew who was in the approaching train. How could they possibly have known it was Supt Hare, Sadleir and the Black Trackers? They couldn’t. It could have been absolutely anyone! Later writers who used those faked plans to deal with Hare, Sadleir and the Trackers were duping us back then too.